Offering a best-in-class 13,200 pounds of towing and a best-in-class 3,270-pound maximum payload rating, the new Ford F-150 is a go-to half-ton. As noted by Edmunds.com, “the F-Series has been the most popular vehicle sold in the United States for nearly every year of the past three decades.” Our lease deals make the Ford F-150 even more attractive. The advantages of leasing are not hard to fathom. Trucks are expensive, but leasing can cut down on monthly payments and the required down-payment. Trucks can be tough to repair and tend to face tougher conditions. Lease plans typically provide a bumper-to-bumper warranty. Trucks are advancing each year in terms of technology and engineering. Leasing helps you stay ahead by switching up every few years. If you’re interested in a truck, you should also be interested in leasing. Lease deals are the cherry on top of a truly unrivaled half-ton. 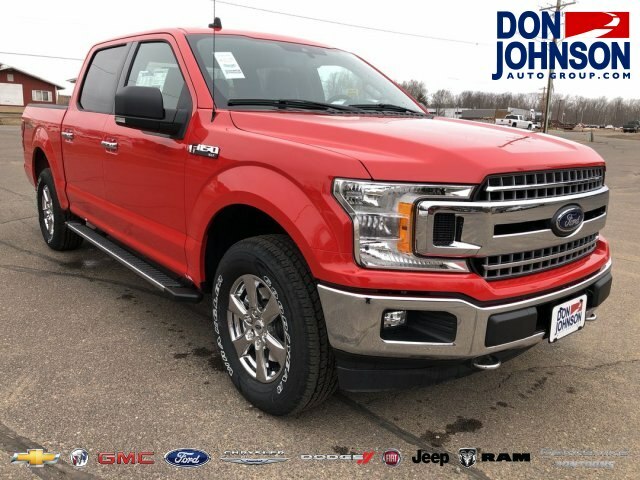 You’ll find Don Johnson Motors dealerships in Rice Lake, Hayward, and Cumberland, Wisconsin, so visit your location today to find out more or take a closer look.